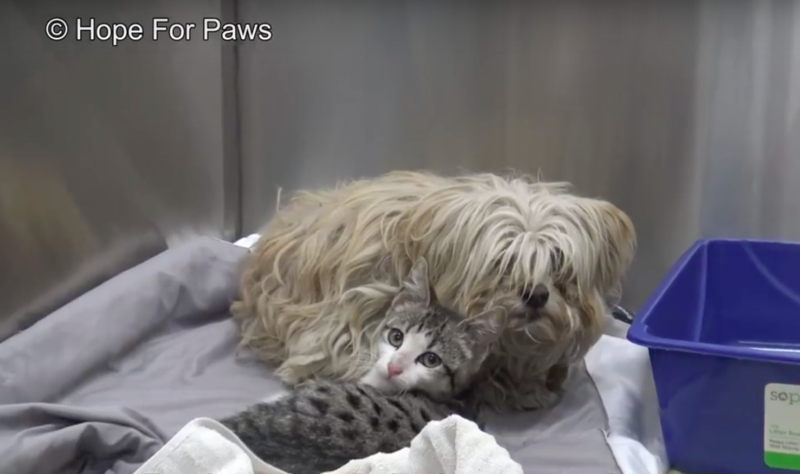 Hope For Paws received a call about a homeless dog and kitten who were living on the streets. A nun, Sister Latecia, told rescuers that the stray dog would beg for food daily. A few weeks later, she began seeing the kitten as well. 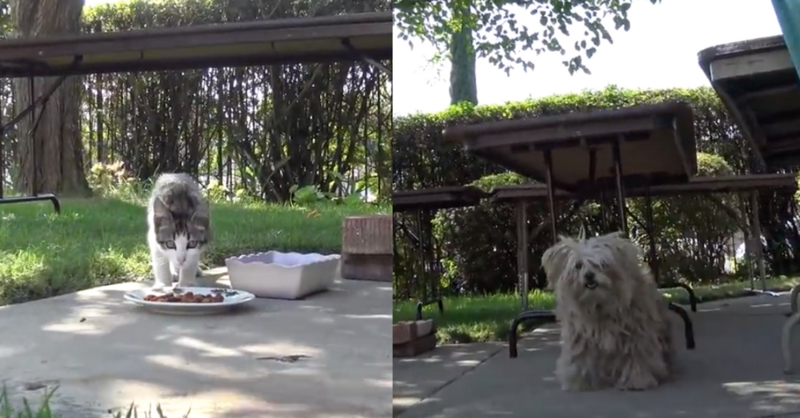 The dog and kitten sought shelter at the California Mission and soon became best friends. Although different species, they were both homeless and had a lot in common. They found comfort in one another and stuck together. The dog, who they named Ariel, was starving but was very nervous and didn’t want to be touched. She was also extremely dirty with matted fur, so it made it hard for rescuers to get the snare to stay around her. Ariel was used to Sister Latecia’s presence and she was the only person she trusted, so luckily she followed her into an enclosed area. Rescuers then quickly threw a net over her and pet her to calm her down. They wrapped her in a blanket and she finally began to trust them. Now it was time to catch the kitten, who they named Sebastian. They set up a trap and waited for him to walk inside the crate. Catching him was much easier than getting Ariel. Soon the kitten walked right into the crate and they were able to close it and pick it up. 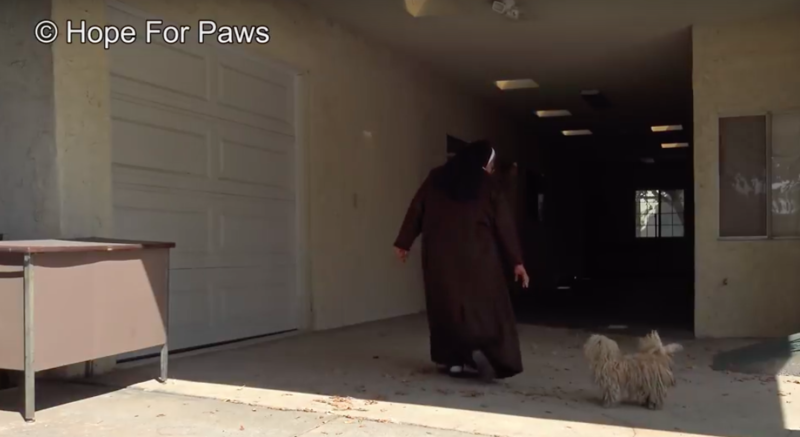 Sister Latecia said that she had prayed to the angels that someone would come and rescue this sweet dog and kitten duo, and her prayers were finally answered! Rescuers brought them back to their clinic to be examined and groomed. Ariel was bathed and shaved and looked like a whole new dog! Then both of them went to a foster home together. These two best friends are so happy to be safe and more importantly, to be safe together. If you’re interested in adopting these two adorable buddies, contact www.HopeRanchAnimalSanctuary.org.